A religious rights organization on Monday called on the police to investigate the head of an extremist anti-assimilation group after he published an op-ed branding Christians “blood-sucking vampires” and calling for them to be expelled from the country. 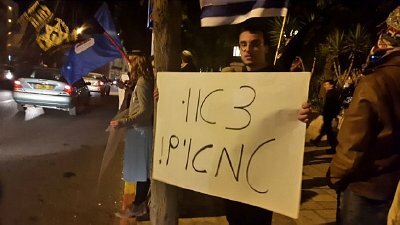 Last month, a dozen Lehava protesters headed by Gopstein demonstrated outside a Christmas event at Jerusalem’s YMCA, decrying what they termed the “murder” of Jewish souls. Shouting, “You murdered us in exile,” and condemning European blood libels and historical persecution of the Jews, the small group waved Israeli flags and sang Hanukkah songs outside the venue, with some signs urging all the “impure” Christians to leave the Holy Land. In his Kooker article published December 17 in Hebrew, Gopstein called the establishment of the State of Israel in the mid-20th century “the most ringing slap in the face the church ever received” after centuries of failed attempts to eliminate the Jews. Since violent methods failed, he writes in his diatribe, “it was decided to invest billions of dollars over the years in order to gain a foothold in the Holy Land and disseminate spiritual poison” through missionary work. Approximately 160,000 Israeli citizens, or 2 percent of the population, is Christian, and a considerable number of Israel’s foreign tourists are adherents to the faith as well. 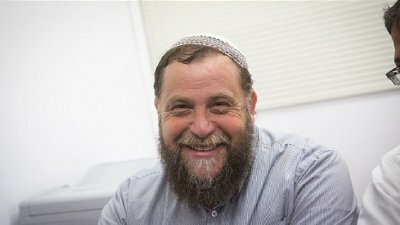 In response to Gopstein’s remarks, the Israel Religious Action Center called on Israeli legal authorities to launch a criminal investigation into what it deemed to be the Lehava leader’s incitement to violence against another religious group. “Bentzi Gopstein is capable of doing anything in order to incite against anyone not like him — Arab Muslims, Christians and others, while using blunt language and calling to violence,” Orly Erez-Likhovski said in a statement posted on the group’s Facebook page. “Unfortunately, against this blatant incitement, accompanied by unruly violence, there’s deafening silence by law enforcement,” she said, calling on Attorney General Yehuda Weinstein to put Lehava leaders and others who incite to violence in the dock. Lehava was established as an organization aiming to prevent marriage between Jews and Arabs, which is prohibited according to religious Jewish law. The group has become identified with the extreme Jewish right and its members have been seen patrolling downtown Jerusalem on some evenings, looking, they claim, for mixed couples. Their vigilante patrols have often degenerated into scuffles, and there were several instances over the past year where members of the organization have beaten Arabs. Most of the organization’s members are teens. Some Israeli politicians have been calling on the government to outlaw the group, whose members have been implicated in several hate crimes.